When we set out to revamp our Turbo line, our motto was that ”busy lives call for faster bikes.” That’s because we wanted to be sure that we designed a bike that best meets your needs. With our lives getting more hectic with each passing day, after all, finding the littlest time savings can have a huge impact, and the 6.0 truly embodies this concept. 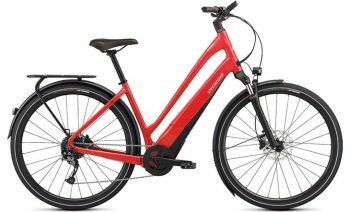 It utilizes our most advanced pedal-assist technologies, a high- quality component spec, and a suspension fork to take the edge out of those pesky potholes. No matter where you’re going, get there fast and in style with the Turbo Vado 6.0. To top off all of the innovative features, we chose a high- end spec for the Turbo Vado 6.0. 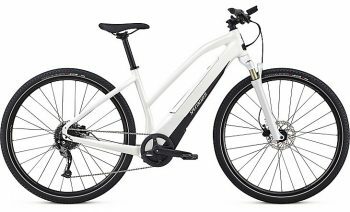 Featuring Shimano XT/SLX 11- speed components, four-piston hydraulic disc brakes, a SR Suntour fork with 50mm of travel, racks, and fenders, the Vado 6.0 is ready to take on the town. Beginning with a completely redesigned and integrated Specialized 1.2 S motor, the Vado proves itself as the ultimate city bike. The Rx Street Tune takes the powerful output and makes it most usable for the urban environment— reacting to the amount of force you apply to the pedals. Think of it this way: The more power you put out, the more power the motor puts out, and this makes accelerations from a standstill both quick and efficient. The belt driven motor is also smooth, silent, and free of annoying vibrations. Perfect. For the Vado 6.0, we developed a custom Specialized U1-604 battery that seamlessly integrates into the frame, is lockable, and easily removable for simplified charging. 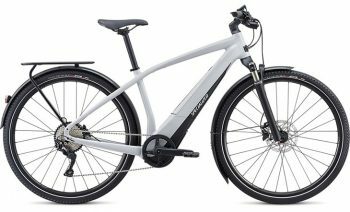 With this battery, the Turbo Vado will deliver a pedal-assisted boost up to 50 miles in Economy mode, 35 miles in Sport mode, and 25 miles in Turbo mode. 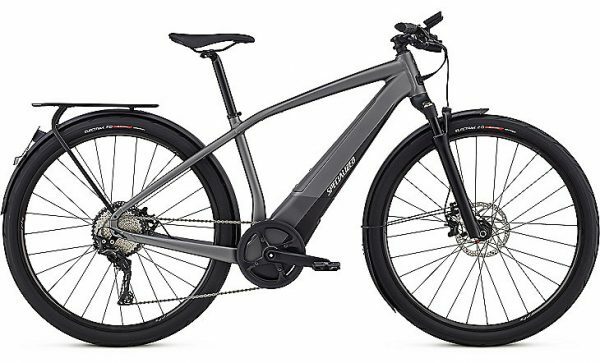 These estimates, of course, have some assumptions—the total rider and bike weight is 220 pounds, the terrain is flat with some inclines, and there is either no wind or a light breeze. In other words, with a top speed of 28mph, there’s plenty of juice to take you to and from work, a trip to the grocery store, or even to that new café on the other side of the city.